Bad tenants occupying your investment property? Stop loosing money & read our tips on showing your tenant the door without having to evict them. From time to time, every landlord will experience a bad tenant in his or her investing career. Bad tenant attributes could be one or more of the following: paying rent late, damage to property, unreasonable or frequent requests for repairs/additions to the home or simply not maintaining the property. Fixing any problem should always be priority of the landlord, but if tenants don’t respond positively we look at a few handy strategies that can help you get rid of them for good. Evicting someone out of his or her principal place of residence is an extreme measure that should always be left as a last resort. When tenants stop paying rent, sometimes this is a landlord’s only option. Most cases aren’t that extreme and only subtle gestures are required to organically push a tenant out the door. Below is our top 5 strategies to getting rid of your bad tenant. Tip 1: Serve Maintenance Notices. A good property manager should be conducting regular inspections of the property. If there is damages or maintenance, they can legally serve notices to the tenants to make them repair the damages. This is a great strategy to help a tenant realize the high cost of repairs involved in keeping a property. 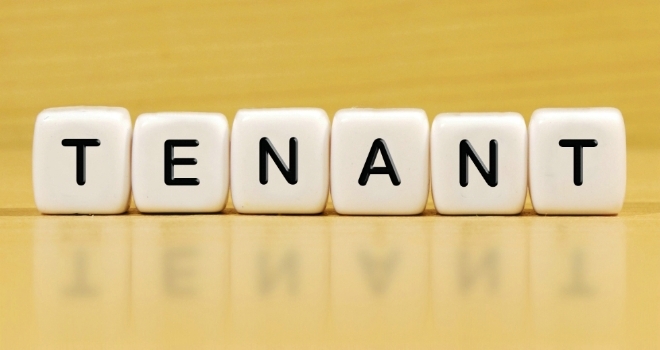 Difficult tenants should be kept on short lease terms and if possible a month-by-month lease. If they request fixed term contracts, simply don’t approve it. At this point, it’s wise to increase rent to make other properties on the market more attractive. Every landlord has an obligation to make sure their rental property is kept in good working order. Great landlords improve the property and add to its value every year. This keeps good tenants happy and in a property, long term. When you have bad tenants, keep all improvements on hold until they move out. When you add up the costs of unpaid rent, repairs, cleaning, eviction notices, VCAT hearings and property management fees – sometimes it’s easier to offer a tenant a cash insensitive to move on. You can position the request in a way that suggests that they will have to move on soon enough. At least this way they have a financial gain that will off-set their moving costs. A landlord should bend over backwards to keep a good tenant happy. Things like approving home improvements, approving requests for pets or allowing them to add picture frames to a wall. This helps a tenant feel a sense of homeliness and helps create great memories at a property. Knocking requests back is a great way to flex some necessary landlord muscle to send a message to the tenants. This can help tenants shape up or ship out. How To Avoid The Problem In The First Place. Prevention is better than cure, your best bet to avoid the problems of bad tenants starts with you! When it comes to selecting the right property manager. Many real estate agencies’ have great glossy broachers and ‘we care’ advertisements, yet their track record of managing their client’s rentals leave a path of bad reviews across the internet. It’s wise to choose a property management company that specializes in property management rather than a combination of unrelated services. These types of agencies are classed as boutique property managers that have a real focus on service. Generally, they may cost a bit more, but should save you when it comes to the condition of your property and your emotional well-being. When qualifying a property manager, ask to look at a condition report, get them to tell you about their process and how they handle a difficult tenant. Ask about their tenant selection process and how they screen tenants. Consistent employment at a reputable company. A tangible reason to rent your property like work, being located close to a school or family. Tenants that don’t move around too often. More information on property management services. It’s better to work on good communication. When a tenant first moves into your property, they have small maintenance requests that need attention. This is a great opportunity for the landlord to show they care for the property and the tenant by promptly repairing any issue. This also helps build a mutual level of respect across both parties. It’s great for a landlord to show he or she exists rather than being a faceless entity. Things like attending 6 monthly property inspections, inspecting issues. If you’re interested in finding out more about how a boutique property manger can help, Property Managers Melb offer a complementary first consultation. In the meeting your consultant will give you a rental appraisal, assess your current scenario and provide a complementary action plan. For more information on the service please call us directly on 1300 00MELB (6352) or leave your details on the enquiry from below.